The Centurion SI, SC and Velteko HSV 360 are widely used in the food industry. These packaging machines are standard in STAINLESS STEEL. Fast and reliable machines that seamlessly connect to your production line and, of course, comply with the requirements according to food safety. Also for the pharmaceutical and medical industry there is always an appropriate packaging machine. VH Vertical Packaging is a specialist in the development, construction, installation and maintenance of sustainable packaging machines for packaging of vegetables, fruit, fresh and frozen meat, snacks, candy, cakes, nuts, chocolate, cheese cubes, grated cheese and cheese powder, cereals, flours, oils, sauces, soups, chips, pet food, etc. You can always count on expert advice and where necessary, based on your requirements and specifications customization. With Centurion and Velteko we have always suitable packaging machines for different non-food applications. 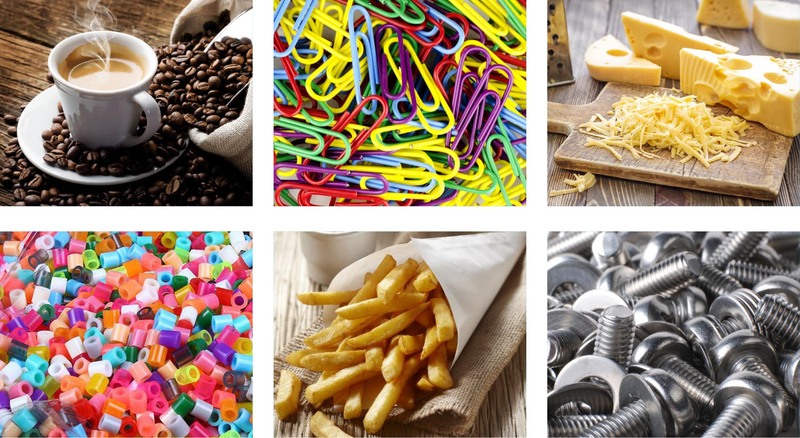 The type of the product determines the packaging requirements your non-food product must meet. For example, a product need extra protection or proper cost savings is very important. Based on your priorities the right solution for your project will be displayed. VH Vertical Packaging is a specialist in the development, construction, installation and maintenance of sustainable packaging machines for packaging of soap, detergent, chemical products, flower bulbs, automotive parts, toys, plastic parts, etc. You can always count on expert advice and where necessary, based on your requirements and specifications customization.